Outfit your Sony Cyber-Shot RX1R II Camera with the Fotodiox Pro Camera Kit. 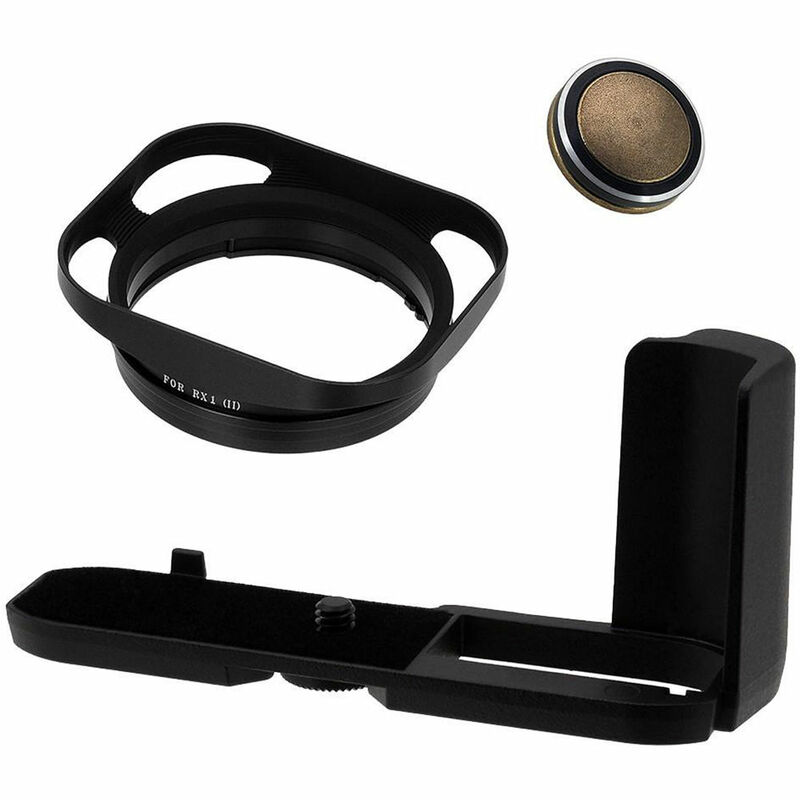 The kit includes hand grip, lens hood, and red-colored soft shutter-release button. Photographers will appreciate the black hand grip's all metal construction, ergonomic shape, battery access, and offset tripod screw socket. The matte black, rectangular lens hood was inspired by the Leica design. Will this fit the Sony Rx1r? I contacted FotodioX with your inquiry. They state that no, the FotodioX Pro Camera Kit for Sony Cyber-Shot RX1R II, B&amp;H # FOKRX1R2PRGH, would not be compatible for use with the original Sony Cyber-Shot RX1R Digital Camera. It is specifically designed for use with the updated Sony Cyber-Shot RX1R II Digital Camera.